In 2014, we founded Letterbox Farm, a collectively owned and operated commercial farm in Hudson, NY. We are a young, quickly growing start-up, working to build a diverse and sustainable farm. We tend 64 acres of fields, woods, ravines, and mountainside, just outside downtown Hudson. Our river town is home to 7,000 diverse residents and a burgeoning new economy based on food, arts and culture. We raise special vegetables, herbs, flowers, pork, chicken, eggs, and rabbit using best practices in animal welfare and organic management. We distribute our goods through four farmers markets, a fleet of local restaurants, and our full-diet Hudson Valley CSA. Outside the work day, we undertake research, serve as farm consultants and take on community organizing projects that benefit the agricultural community and our local economy. We also host farm dinners, weddings and other events that celebrate seasonality and place. To develop an exemplary diversified farm that takes care of land, takes care of people, and generates real wealth in our community. Produce exceptional food that is rich in nutrition and rich in heritage. Engage a broad set of stakeholders in our many layers of community: farmers, chefs, customers, fellow businesses and neighbors here in our hometown. Support our farmers and workers with living wages, diverse work, and adequate time to rest and maintain their lives. Be excellent stewards of soil and place. Letterbox is the combined effort of an invested team. We have organized our business much like a worker co-op, in which the three of us co-own the farm business equally, distribute responsibilities fairly, and and make key decisions collectively. We support each other to focus and excel at each of our enterprises, while also getting to create (and eat from!) a well-rounded, highly diverse farm. Working as a team means extra organization and clear communication. It also means sharing the thrills and challenges of building this farm, with an all-star mix of skills, temperaments and talents. serves as vegetable manager and administrative lead for Letterbox, and works one on one with our chef clients. She is a fourth-year farmer, researcher, and organizer. She is the author of Cooperative Farming, a how-to handbook on forming collaborative farm ventures. Outside the workday, you'll find her volunteer-organizing community initiatives - or making chicken dinners. grew up farming, is a VoAg grad, and spent 6 years as a park ranger for the Army Corps of Engineers before he returned to farming for good. 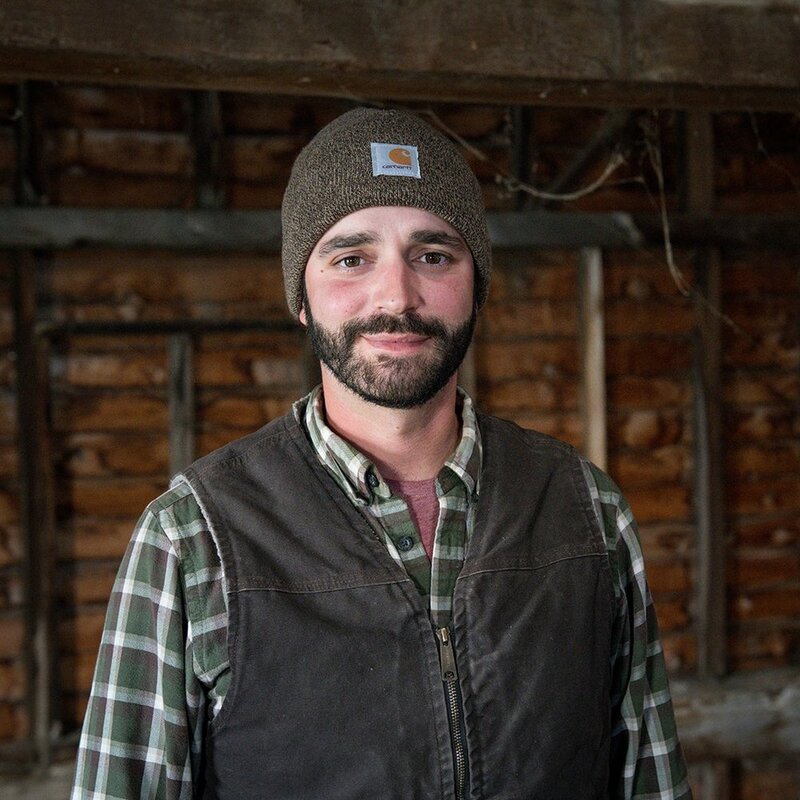 Laz is Letterbox Farm's equipment manager and is also an integral member of our land management team. In his free time, he's probably fishing, cooking fish he caught while fishing, or putzing around in the shop. manages livestock and retail marketing for Letterbox Farm. 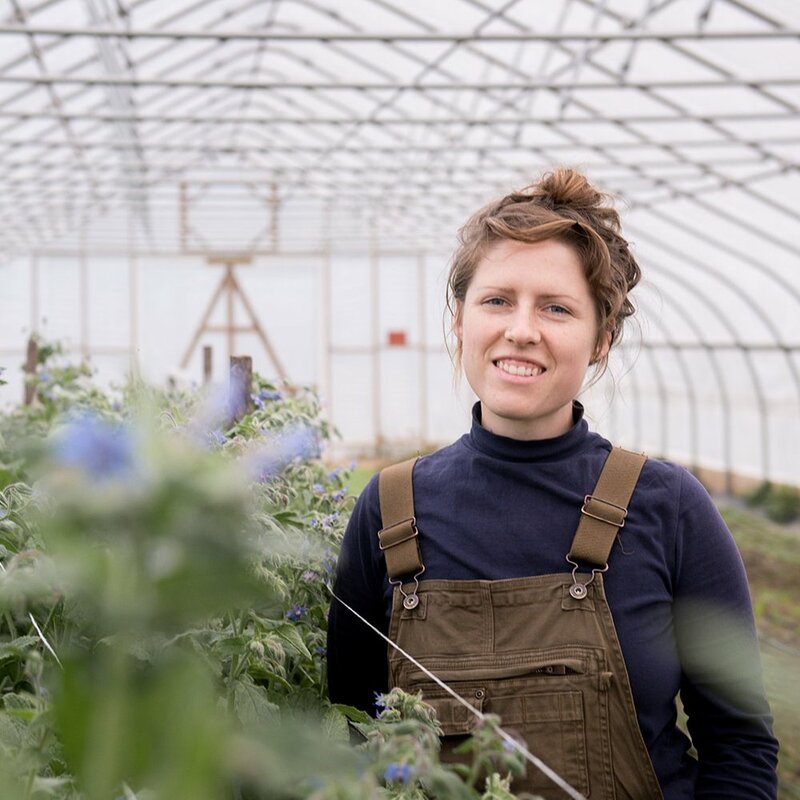 She is a second generation small business owner and the author of Pastured Rabbit for Profit, an animal enterprise guide for old and new farmers alike. When she's not farming, you'll find her playing basketball with her Old English Sheepdog, who's a surprisingly formidable opponent. is a new farmer in her fourth year of working and learning--and she's starting to feel like the real thing! She is very excited to take the next step in her piecemeal farm education at Letterbox, and aspires to one day develop her own sustainable homestead capable of feeding and supporting the overall health of her family and community. She likes pruning tomatoes and greenhouse work best and in her free time she makes jewelry and cooks a mean stir fry. grew up in Los Angeles, CA, and was lucky enough to have family members that were usually growing at least a few small scattering of herbs or vegetables. After receiving a master’s degree in biology and establishing a career in medicine, Nina was still drawn to the life cycle of plants and animals. In an effort to integrate them back into her daily life, began working on an organic farm in NY. The experience there confirmed that this was the path for her, and since then Nina has been fine tuning her interests by pulling from an expanding knowledge of biodynamic farming, permaculture, market gardening, no till, vertical gardening, etc. Jamie Abbt is excited to join the farm crew this season and is learning more every day! Having graduated from Unity College, Jamie has been elbows deep in the animal care field for almost a decade now. This interest led them to being a zoo keeper at several different zoos, an animal shelter worker in New York City, and a dog trainer, too! Jamie’s passions remain in their graduate research, conservation, and tasty food. Jeyna is new to farming this year. She's spent the last several years doing farm-to-school work in the magical Northeast Kingdom of Vermont, where she got to teach kids about nutrition & agriculture. Jeyna's excited to be farming full time this season, especially since it means working outdoors! In her free time, she loves to bake, experiment with fermentation, and go hiking.